… Leave for a few days what an adventure. 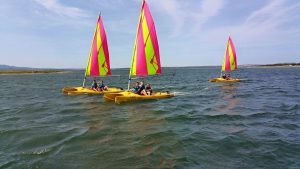 Away from his family, discover the outside world by creating privileged links with those around us… The life of a child or a teenager in a summer camp is as exciting as it is rewarding. But for the magic to operate, you organizers are in charge of finding the formula that suits you and that suits the requirements of your stay. 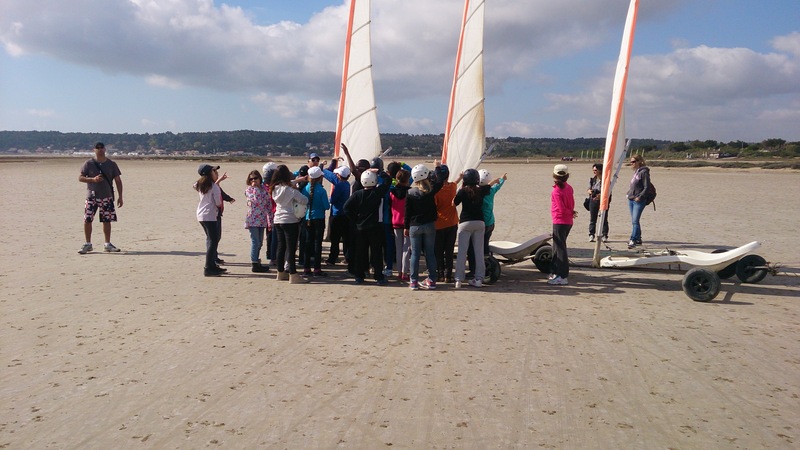 That's why, the Cape Leucate sailing Circle, offers you all-ready solutions, adaptable to the needs. Important precision: These products are intended for groups already formed by recreation centres or other organizations. If you are a family and are looking for a holiday camp for your child/teen, contact one of our accommodation Centre partners. The optimist, the multi-generation boat known to many of you, in groups of 12 Max and for children 6 to 9 years old. Two or three per boat, depending on the conditions, so that they can feel safe to discover this environment. The funboat is a small plastic catamaran. Very easy to use, it will be suitable for the smallest, from 8 years, as to the larger ones. At two or three per boat, depending on their age, they are quickly in action and progressing at their own pace. The sailing chariot, alone or in pairs, discover unique sensations of gliding only a few centimetres from the ground, the feet dry. Suitable for children from 8 to 10 years, in small group of 14 max (per monitor) and up to 24 for the older ones. The paddle by group of 12 Max. To rediscover this way of movement on the lagoon. Playful and physical, children from the age of 10 will find their brand quickly. Possibility to discover also the canoe for groups of 8 Max. 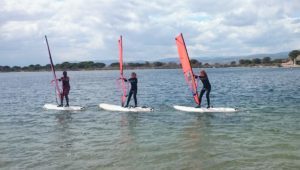 Windsurfing, sport gliding in the land of the wind, a cycle of at least 3 sessions to make you happy and progress. It is advisable to make this activity in small group of 8 to 10 young people to the maximum, for a faster and efficient start-up. 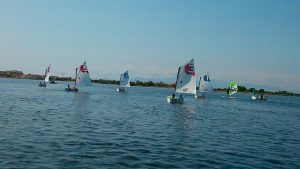 The catamaran at 3 or 4 per boat, from 13 years old, young people will be able to learn on these technical boats the basics of sailing. Plan, minimum, a cycle of 3 sessions, to have a real progressive and constructive learning. 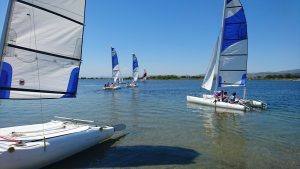 The Aquali33, the possibility to embark 10 people, on a catamaran of 10 meters to discover the sail and the lagoon of Salses-Leucate. 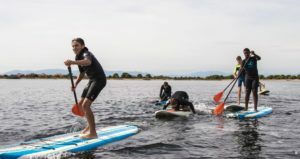 Accompanied by the instructor it is accessible to everyone, whatever their age and skills. 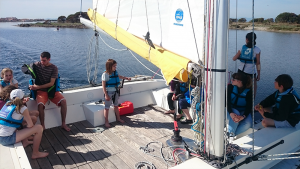 All participants in the activities must be able to meet the buoyancy test to be able to board a boat, except on the Aquali33 (fall back into the water with full immersion and return to the starting boat). It is advisable to have a wind cut (top and bottom), sweat or sweater, sunscreen (cream, cap,…), a complete change and it is obligatory to have a pair of closed shoes that can go in the water. The dates and slots that are offered on the quotes are valid for 15 days.